Simone Simons of Epica on The MetalSucks Podcast #208, with Special Guests Axl Rosenberg and Emperor Rhombus! Simone Simons of Epica is our guest this week. We discuss the band’s new EP The Solace System, how they amassed so much material in such a short amount of time, the jobs she had prior to joining Epica, the choice of not bringing her children on the road, the seven-year anniversary of her blog and her passion for photography. Axl Rosenberg and Emperor Rhombus return for part two of their interview series to promote their book Hellraisers. 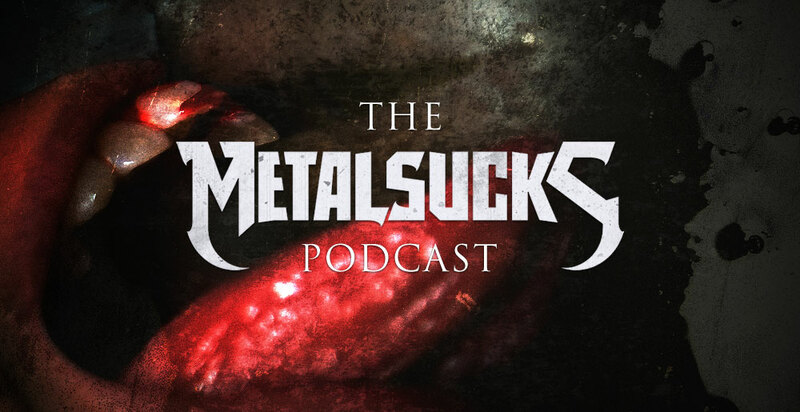 We tackle the genres they were most excited to writing about, the difficult task of categorizing the New Wave of American Heavy Metal, and the awesome bands who wrote acknowledgements. Brandon, Joz, and Pete discuss the big news about a Misfits reunion in Las Vegas, how it’ll be weird to see them play in an arena and wonder if tickets will sell.